Have you ever noticed that some people have a knack for conversation? They know just what to say and when to say it. They know when to be quiet and let others talk. They ask the right questions, and they’re generally fascinating to be around. Others gravitate toward them and enjoy their company. In short, these conversationalists are engaging. details are often just a click away. When followers post on your page, check out their profiles before you respond. You may be able to tap into their expertise for an even more engaging conversation. Speak less, listen more. As the social media manager, you will likely need to facilitate conversations by jumping in periodically and keeping the conversation on track. 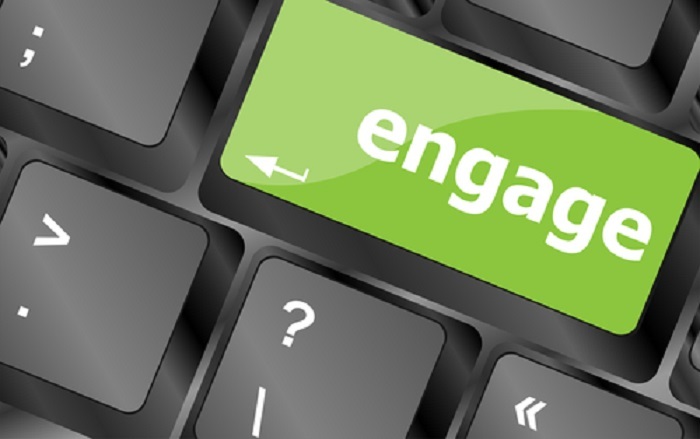 While the Facebook page may be yours, it’s also about engaging with others. Avoid monopolizing conversations as much as possible. Think of yourself as a host tasked with keeping the conversation going and making sure everyone has the opportunity to share their thoughts. Comment on general interest topics. Just as you might say something along the lines of, “What do you think about the latest iPhone?” at a cocktail party, you can do the same on social media. That said, your general interest topics should be relevant to your niche. For example, if you manage a Facebook page about dog training, the latest iPhone wouldn’t be relevant; however, a new app that controls a dog training collar might be. Stay positive. Share positive news relevant to your niche. Not only are people drawn to positive people and repelled by negative ones, they’ll be more likely to click the “like” button when they actually like what you have to say. As you know, there isn’t a “dislike” button.